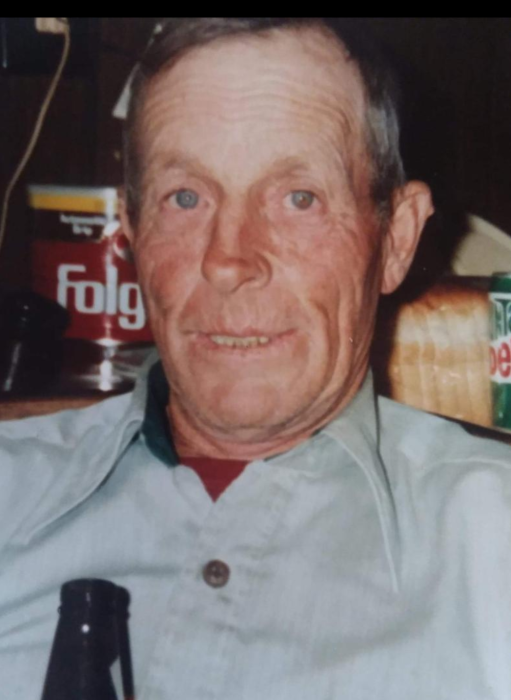 George Brownlow, known to family and friends as “Porge” passed away on February 10, 2019 in Chadron, Nebraska at the age of 83 years old. George Raymond Brownlow was born on March 7, 1935 to Ray and Ruth Brownlow in Rushville, Nebraska. He attended Cravin Creek School and graduated from the eighth grade. George had numerous jobs, one leading to Galveston, Texas for a painting contract. Vernon Sager, his special life long friend said, “You are not going to like being far away from home.” Needless to say he was right, because later came back to work for Vernon his life long friend and began his ranching career. Later George went to work for the Star Ranch, south of Gordon, Nebraska and from there he went to work for the Shrewsbury ranch where he was employed for forty years, retiring in 2009. After retiring, George moved to Hay Springs to his mom and dad’s house where he enjoyed hunting, fishing, and was known to have a few beverages with family and friends, or whomever decided to stop by and talk of old times. If he was teasing or pulling a joke or prank on someone, he was happy. George was married to Ardyth Rose, and to this union three children were born. Sons, Jimmy Ray and Robert Neal Brownlow, and daughter Joanne Marcene Lintt. He then married Clarenda Lee Broken Leg and to this union two sons were born, Neal Allen and Gayle Lee Brownlow. George was then married to Sharon Campbell and added three children to the family, Tracy Lynn Devena, stepdaughter, Lavonne Jean Connelly and Lisa Marie Long, daughters. George is survived by Jim (Ricki) Brownlow, Joanne (Lance) Lintt, Bob Brownlow, Gayle Brownlow, Tracy (John) Devena, Lavonne (Vince) Connelly, Lisa (Mac) Long, and numerous grandchildren and a host of friends. He was preceded in death by his parents, Ray and Ruth Brownlow, Wife Sharon Brownlow, son Neal Allen, grandsons Ronald Levi Leach and Matthew James Koncaba, and sisters Phyllis Rose and Margaret Talbot. A memorial has been established for the Hay Springs Ambulance Fund. Donations may be sent to Chamberlain Drabbels Mortuary, PO Box 443, Hay Springs, NE 69347.